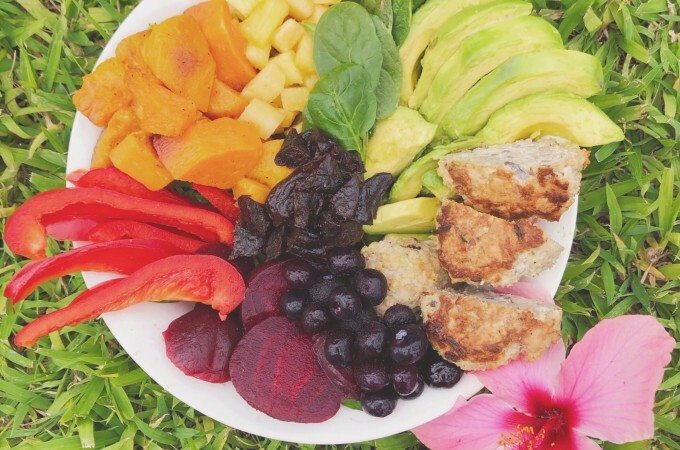 The leaves are falling, the weather is getting cooler and the local crops are changing. 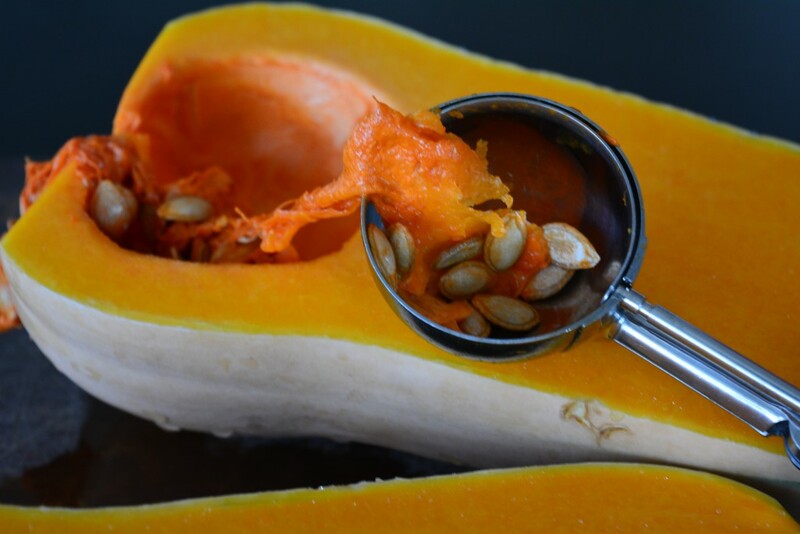 Slice squash in half lengthwise and scoop out the seeds (I find an ice cream scoop does the trick). Line a baking sheet with parchment paper. 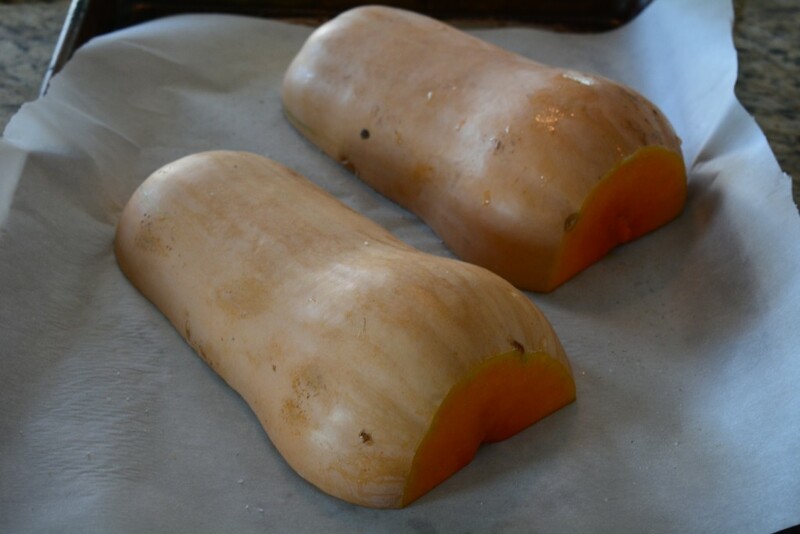 Season the squash with a small amount of olive oil and sea salt and place flesh side down on the baking tray. Cook at 375 for 20-25 minutes or until lightly browned. Cook for 3-5 minutes, or until onion is translucent. 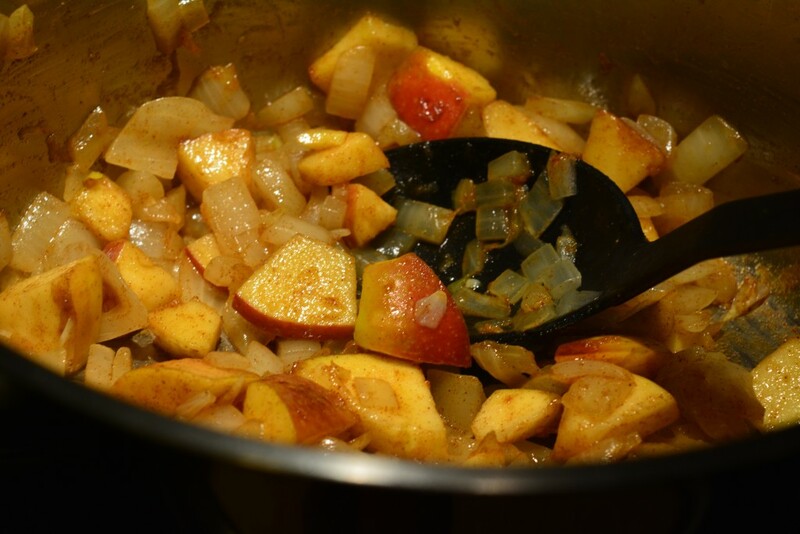 Add spices, maple syrup and chopped apple. Spoon in cooked squash and sauté until well mixed with the other veggies and spices. Add in the broth and let simmer for 10-15 minutes. 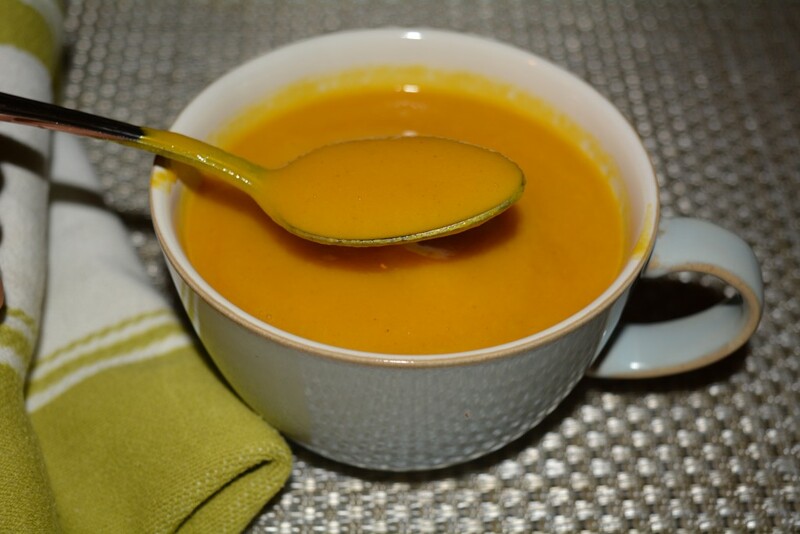 Use a high-powered blender to puree the soup; this may need to be done in 2 or 3 batches. 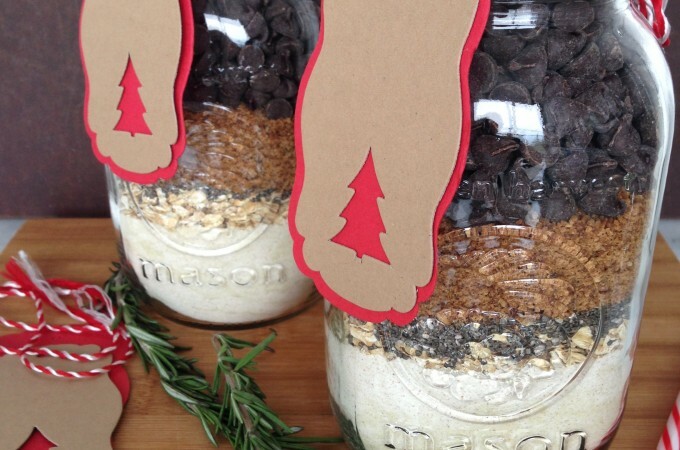 Serve immediately or place in containers for later use. 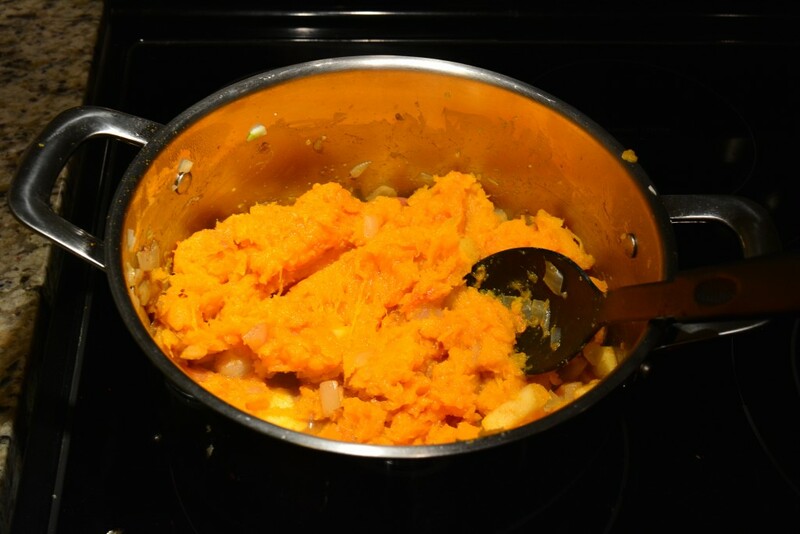 This soup keeps for 3-4 days or can be frozen for up to 6 months. 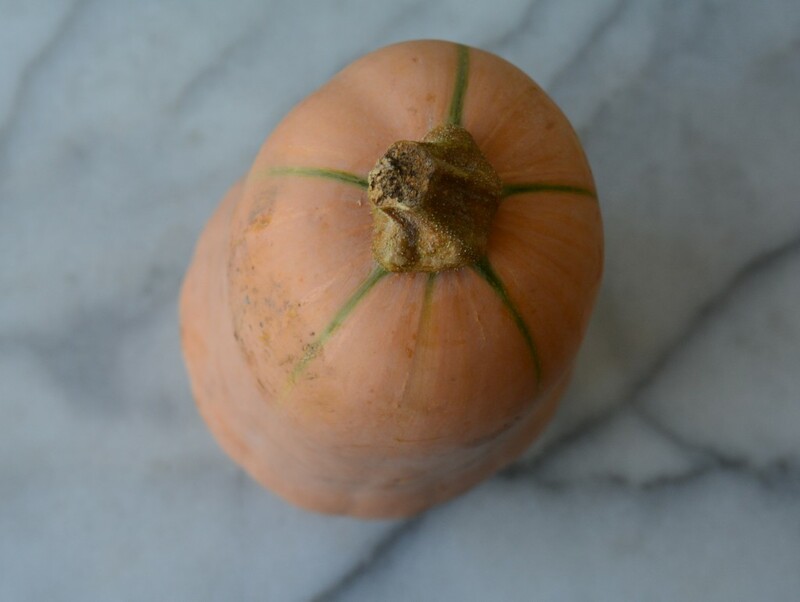 Squash is one of my all-time favourite vegetables. 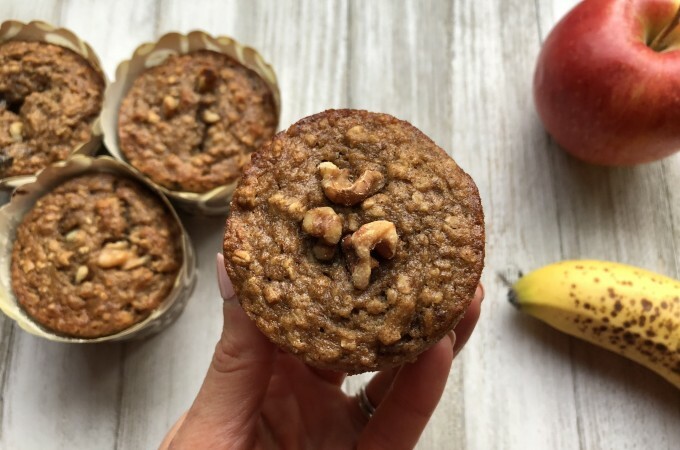 It is not only absolutely delicious, but also versatile, rich in skin-loving beta carotene and a great substitute for other heavier carbohydrates consumed in “comfort food” season. 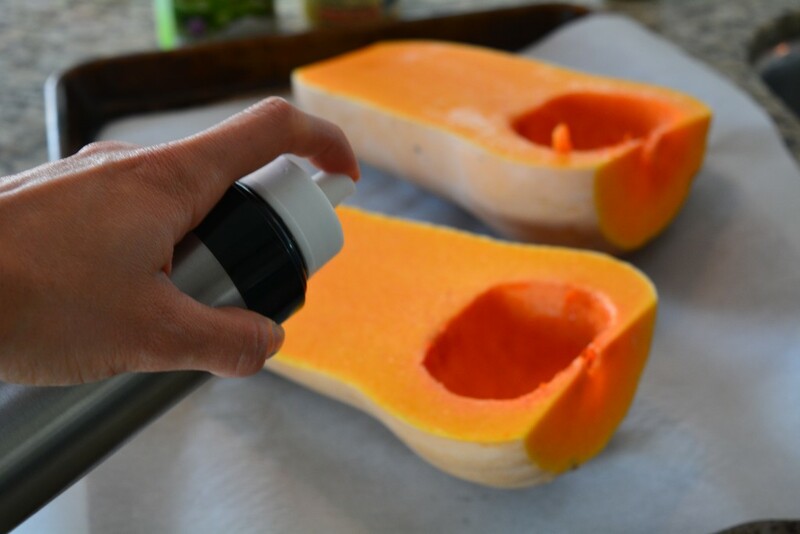 Create a flat surface to cut the squash by slicing off each end. Scoop out the seeds and then season with a little salt, pepper and oil before roasting. 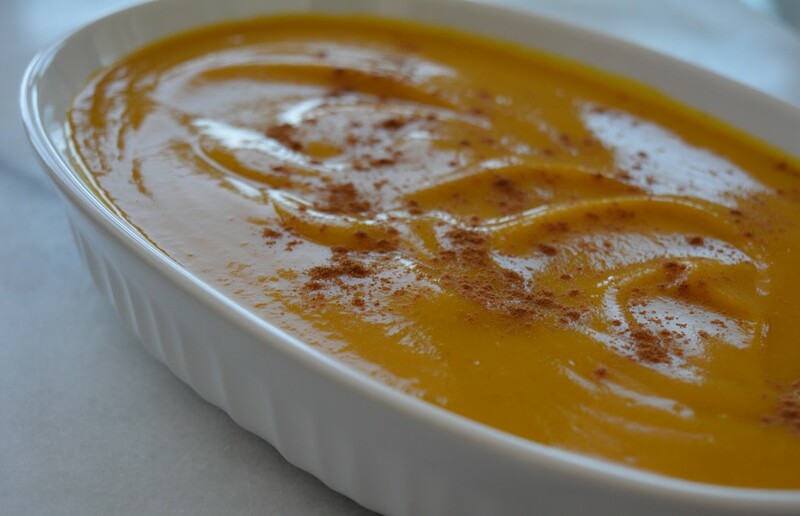 Butternut squash can be paired with so many different spices and flavours – curried, coconut, spicy…..mmm..the options are truly endless. Today, I decided to try something on the sweeter side today by combining apple, cinnamon and maple syrup. 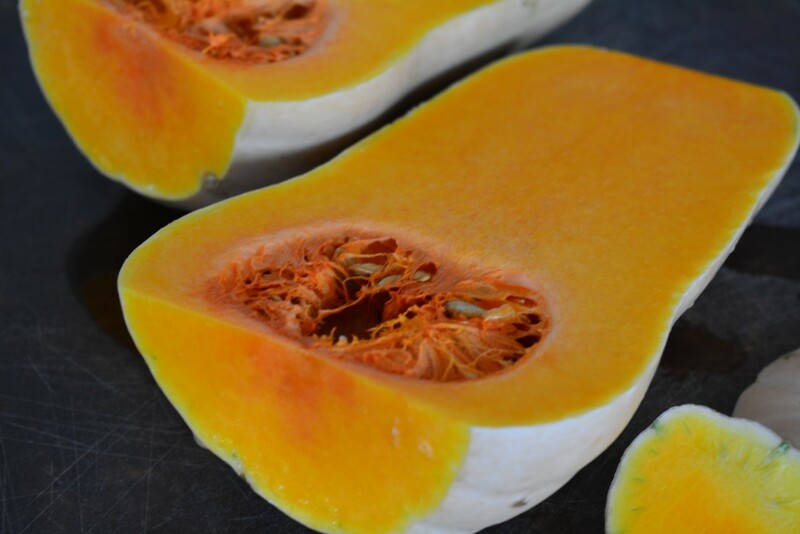 Although squash can look like a daunting vegetable, keep in mind that the oven does most of the work to this guy! There are a lot of recipes that just involve peeling and cutting the squash into cubes before making the soup. If this is your thing go for it! 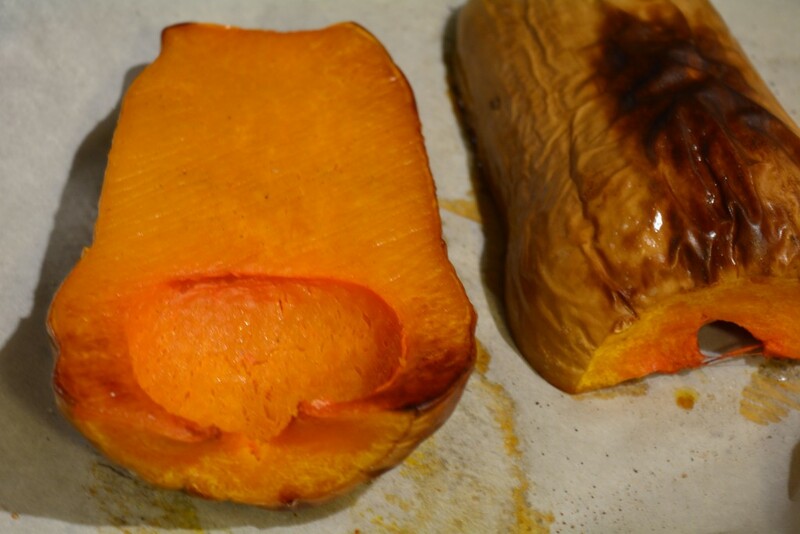 That being said, I find by roasting the squash first, it results in a sweeter and more delicate flavour to the soup (and makes it easier on you not having to peel and cut!). 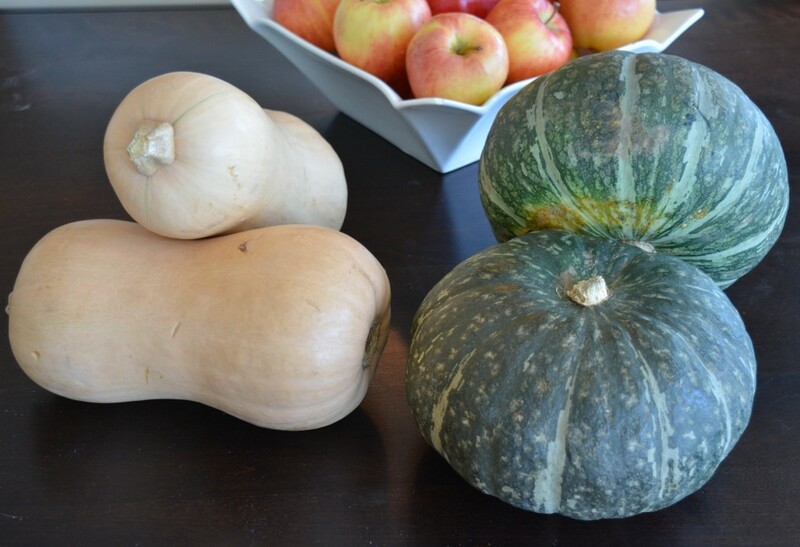 Photo directions for the soup: Enjoy squash season! 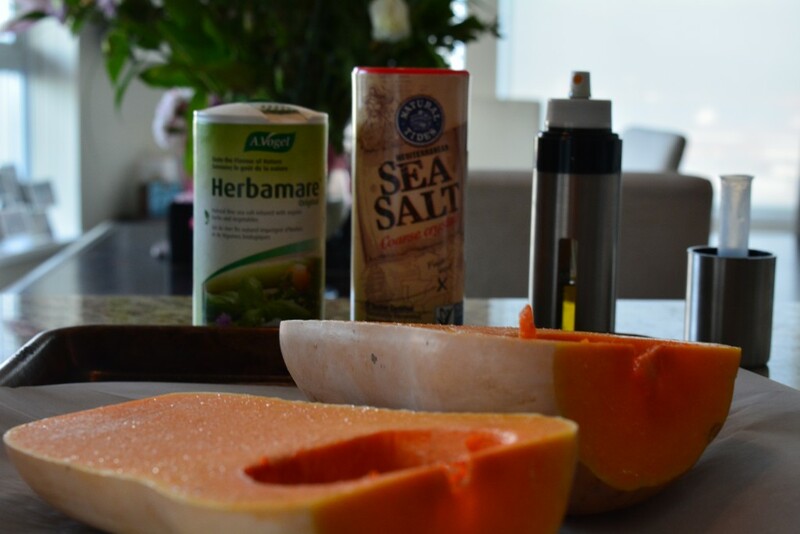 Look for more to come on my other favourite – KABOCHA! !